How to Organize Shoes in Your RV? When you have an entire house to yourself, you don’t have to worry about the overflowing shoe closet. 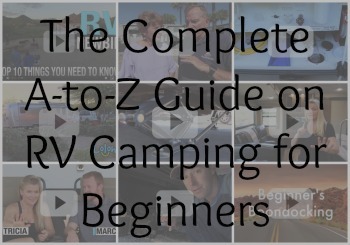 However, things can get a little difficult when you have to downsize for your RV life. 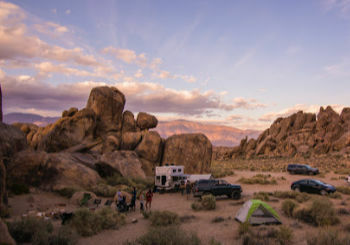 Bringing four pairs of shoes per person also becomes a lot and you need a proper RV shoe storage area or organizer to make sure the shoes aren’t scattered all over the place. Use your clothes to select the kind of shoes you want to take with you. If you wear a lot of t-shirts and pants, canvas shoes or slippers suit your wardrobe the best. Are you more into dresses and skirts? Well, sandals and decorate slippers will suit your closet a little better. Choose shoes with block colors as it makes them easy to team it up with any outfit. 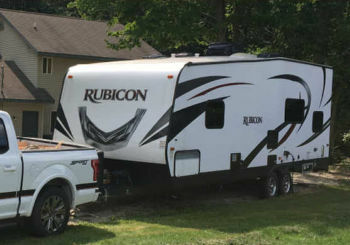 When you have shoes that are very decorative or full of patterns, you limit its number of uses, which isn’t a practical use of the limited space of your RV. Leave those five-inch tall pair of heels back at home. They are difficult to store and you will be spending most of your time hiking, swimming, or relaxing. Avoid taking shoes with you that you won’t use regularly. Training shoes are great when you are going for a casual walk or exercising outside. They are comfortable, so if you are spending your whole day walking around, you know which ones to pick. If you are hiking up a mountain, you must wear hiking shoes. They have the best grip and protect joints from injury. Hiking shoes are usually expensive but they also last for a long time, so the cost will get covered up. Go for sandals that have elaborate designs, so you can wear them to a party or dinner date. Stick to a brown or black pair of sandals since they complement almost all clothes. 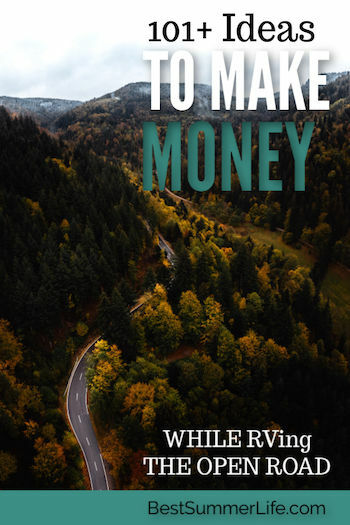 After adjusting into RV life, you will realize that you never needed so many clothes and shoes. The easiest place to hide your shoes is under the bed. You can store them in a box or place them in a restricted area directly. Clean your shoes well before you put them back as the odor and bacteria can harm your bed linens. Store your shoes in a storage ottoman or under the couch. Pack your shoes in tiny bags before you place them inside. You can either have stairs that open, so you can store inside them or remove the front part and slide the shoes inside. 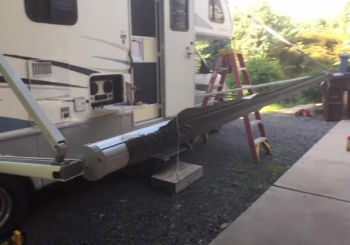 The location is convenient because you can take your shoes off as you get inside the RV and push them under the stairs. Screw curtains on the side of your couch and add S-hooks to them. Hang your shoes over the hooks and cover the couch and its side with a big piece of cloth. 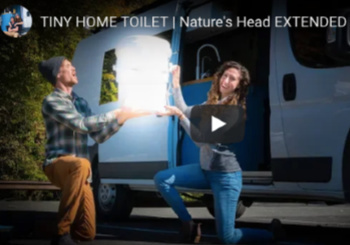 It is the only option left if you don’t have any storage space left in your RV. Dimensions: 56 1/2"L x 22 1/3"W, each pocket measure 5 2/5" in width and 7 4/5" in height. The MISSLO Over The Door Shoe Organizer is a floor-length mesh organizer with 24 pockets to store 12 pairs of footwear. Its back fabric is made using non-woven AOZ-free cloth, which is breathable and easy to wash. It is available in two colors, which are black and white. The organizer comes with pre-installed hooks, which you can use to hang it over the closet door. They are thin, so the door will close completely. It won’t affect the wood in any case. If you don’t have 12 pair of shoes, you can cut it into half, horizontally or vertically, and use the other part to store other things like cleaning supplies. Each pocket of the organizer is 5 2/5″ wide and 7 4/5″ tall. You can also use it to store toys, undergarments, toiletries, snacks, and kitchen supplies. 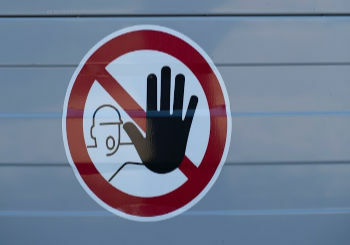 However, don’t store very heavy objects in it as it will disturb the door’s alignment. A minimalist and affordable organizer, the Whitmor Over The Door Rack Fold Up Non-Slip Bars Shoe Rack can accommodate 36 pairs of footwear at a time. It is a perfect solution for RV homes or motorhomes as the organizer comes with non-slip pads that keeps the shoes in their place during a bumpy ride. The shoe rack is constructed using high-quality white resin, which is eco-friendly and ideal for long-term use. You can interchange between three shoe rack positions depending on your use. If you aren’t using some of the shoes rack, you can close them completely. If you want to store kids’ shoes, open it partially. Keep it completely open for adult shoes. Store the heaviest and biggest shoes in the bottom racks so that the weight doesn’t misalign the door. Use the pre-installed hooks to hang the organizer over any door of your RV. You can also screw it on the wall. In case your closet door is too thick for the hook size, contact the company and they will send over bigger ones. 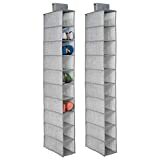 mDesign Soft Fabric Closet Organizer is an aesthetic footwear organizer, which fits perfectly in constricted spaces. It is made from top grade, breathable non-woven synthetic fabric, which can be used to store running shoes, heels, flats, sneakers, sandals, tennis shoes, loafers, hiking shoes, and rain boots. You can hang the narrow organizer in your closet, between the fridge and the bedroom, and entryway closets and never worry about tumbling over shoes scattered in the RV ever again. You can use the organizer to store cleaning supplies, toilet paper, pre-packaged snacks, undergarments, socks, and infant or toddler clothes. It slides easily on an average-sized closet rod. A sturdy product by Homyfort, this shoe organizer is perfect to add storage space under your RV bed. It is constructed using eco-friendly non-woven fabric, which is durable and maintains the shape of the shoes. You can purchase the organizer in two colors — black and gray, both of which have patterns that resemble linen fabric. It can store up to 6 pairs of shoes at a time and close completely with a sturdy metal zipper. The organizer has a clear cover on top, so you can check what’s inside without opening it. Also, it comes with one handle on either sides, so you can pull it from under the bed easily. The zipper is larger than the average size, which means you can open and close without worrying about it coming off. Homyfort offers one of the best customer service and will help you replace the product in case of a manufacturing fault. 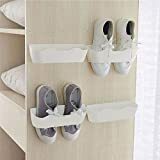 The Yocice Wall Mounted Shoes Rack is a four-piece organizer that is available in two colors, which include white and blue. It is an ideal choice if you a small RV and no specific space for storing your shoes. The shoe racks come with 12 sticky strips, which you can use to stick them against a flat surface. They are constructed using ABS material, which is highly durable and lightweight. You can use the organizers to store a variety of shoes including sneakers, shoes, slippers, sandals, and heels. Designed minimally to blend in with the RV interiors, the shoe racks are perfect for utilizing awkward spaces. This Closet Organizer is our favorite among the 5 RV shoe organizers. It is constructed using eco-friendly non-woven material, which can be folded and kept away when not in use. It is a breathable fabric that clears out odors and maintains the shoes in good condition. The organizer fits comfortably over an average-sized closet organizer and fits 10 pairs of shoes at a time. You can also use it to arrange kitchen supplies, snacks, cleaning supplies, children’s clothes, and undergarments. We also like the under-bed Shoe Storage Organizer, a box organizer that you can keep under your bed. You can stack one over the other and free up space for different things. It is easy to use and is made using a non-woven, breathable fabric with a clear top. It has handles on both sides, so you it pull it out easily.